New Books on Rockets and Fire! Now of course the book is title ‘Soda-Pop Rockets’ so naturally they show a Water Cooler bottle being launched on the cover! But honestly the majority of the book does deal with using common soda bottles as water rockets. The books shows how to build a simple (and later more complex) rocket & launcher, with an old bike inner tube, a wire coat hanger, a bike pump and some tools. From there more advanced subjects like adding find, stacking bottles, parachute systems and more are covered. Other subjects covered are how to measure how high the rocket flies, and launching toy cars with rockets! This is a great book for the basics of water rocketry. From water we go to the next books which covers (ta-da!) fire! The Practical Pyromaniac is the book for those fascinated by flame! This is the book for people interested in safely experimenting with fire. Details are given on how to make a flame tube, candle-powered engines, and even make huge fireballs. All of the experiments are given in strong detail with an emphasis on safety (but still having fun and making cool fire effects!). These books are great for folks who want the ‘old school’ do-it-yourself science experiments, pick up some copies today! 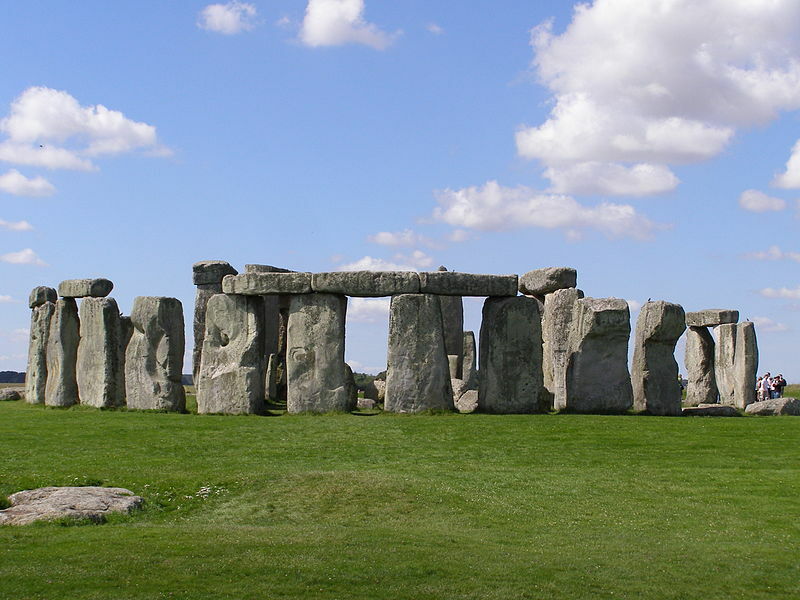 Building a Stonehenge – without the Woo. We’re out at a trade show today so today’s entry will be a bit brief: Many folks have come up with ideas as to how ancient Briton’s moved the heavy stones that make up Stonehenge. Some of the theories make sense, but many of them are a wee tad…speculative, to be kind. Aliens, psychic powers, and other crazy concepts make up just some of the wilder theories out there. Excepting the fact that his stones seem to be made of concrete (which actually makes them more brittle than the original stones) and some minor updating of certain tools (such as using a hose instead of buckets of water) everything he uses would have been available in some form to the ancient Britons. You can see more of his moving objects in action at his website. As amazing as W.T. Wallington’s work might be, he may not be the first to revive such techniques. The builder of Florida’s Coral Castle, Edward Leedskalnin, may have also employed such techniques to build his masterpiece. There is evidence that Leedskalnin may have cheated a tiny bit as a small Ford engine does appear in some of the rare pictures of his construction. Oddly enough, Leedskalnin is often subject to as many rumors of bizarre techniques as Stonehenge’s builders. The reality is that we should never underestimate human ingenuity. When you sell telescopes in a big city people do tend to ask what they can do to use their telescope despite the bright lights of the city washing things out. We have many hints, of course, but sometimes folks just don’t want to make much effort to view at all. In fact, instead of taking their telescope onto a deck, or a roof, or to a dark area some of them ask: Can’t I just point it out my window and see stuff? Now, I’ll admit that sometimes lazy astronomy can be very tempting. Telescopes can be heavy or bulky and carrying them up small ladders some decks and roofs use can be downright dangerous. It can be very tempting to imagine oneself resting in a warm, comfy chair gazing at a telescope aimed through a window into the great skies. 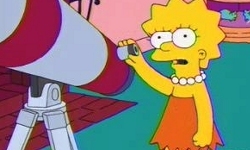 I have no idea what kind of telescope Lisa is using. out-the-kids-window’ is used so often it might almost be a trope or cliche at this point. The fun part is that most of the time the kid in the movie doesn’t even look at the stars but manages to spot a crashing UFO. Also famous are fancy astronomical telescopes place in bay windows in mansions. 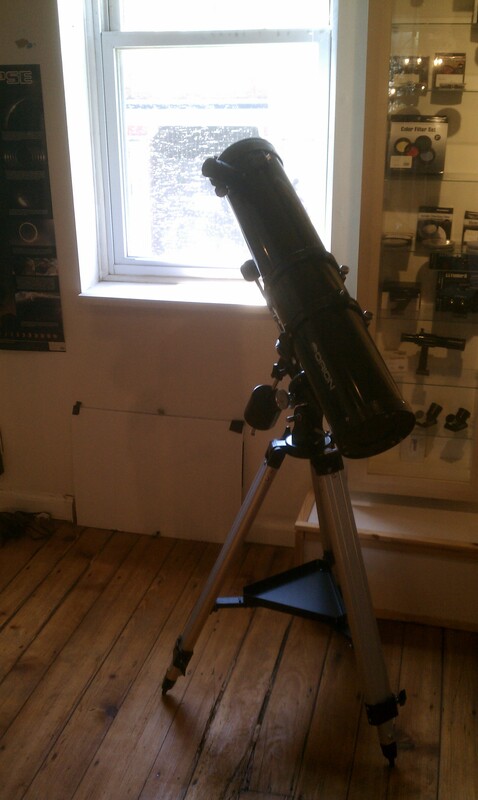 It conveys the impression that the telescope is going to used by viewing through the windows. First of all, understand what went into making your telescope. That mirror or that lens on it? It was polished to an incredible level! That mirror is polish to a 1/4 wavelength of light. That’s right, its accurate to one-fourth of a wavelength of light. In case you weren’t aware, wavelengths of light are very small, being measured in nano-meters. So you’ve got yourself a very well made indstrument at work here. Even during nighttime this is not a good thing to do. Now that window glass? Not so much. It was made for size and economy. For starters it is going to lose 8-9% of the light just from when it strikes the glass surface, then the rest that goes through? Its going to get badly distorted. Go over to a nearby window and take a look at it – AT it, not through it. It might look clean, it might seem flat, but look closer and you’ll see that it has distortions, waves, bubbles, and more. These are all things that will mess up your view if you aim your telescope through window glass. Aiming your telescope through window glass is like getting a fancy sports car, and then yanking out the powerful V-8 and putting a two-stroke motor from a lawnmower. Now you might think to yourself “well, OK, the window is lousy, but I’ll just open it, and that screen window as well and everything will be fine!”. Sadly this doesn’t work very well either. The reason? Temperature. You see, with very few exceptions most days the temperature inside your home is going to be dramatically higher or lower than the temperature outside. Even on the best of days it is going to be slightly different. That is going to cause problems, and not just because you’d be wasting energy. If you ever seen waves of heat coming off terrain on a hot day or seen the distortion of air caused by a hot radiator then you know what heat can do to the air. The difference between the outside air, inside air, and even the air inside your telescope’s tube can seriously mess up the image. Even different humidity levels can cause distortion. In fact, temperature differences are such an issue that astronomers who use their telescopes outside often use fans to cool the tubes down faster. Many Dobsonian telescopes now have wood or plastic knobs attached to the bodies so that the astronomer’s hands don’t heat up the metal (and thus the air in the tube) when aiming the telescope. So while hauling the telescope outside can seem a bit daunting, it is without a doubt the best way to get the best out of your telescope. Viewing from within city limits may not make for idea viewing conditions, but viewing within apartment limits is most certainly worse. Get the most out of your telescope and take it outside to view! New Offer from Ample Scientific with Digital Micro Centrifuge Purchase! Ample Scientific is an excellent supplier of quality microscopes and laboratory centrifuges. They also come up with great product offers and this summer is no exception! With every purchase of an Ample Scientific DM-120 Digital Micro Centrifuge you will get a FREE TACH-S Digital tachometer! That’s a $99 retail value, FREE! splay, range from 2.5 to 99,999rpm, last value recall, more. It can take an accurate reading off any centrifuge with a window to its central chamber! It has .1 rpm accuracy up to 1,000 rpms and 1 rpm accuracy above that. An excellent instrument for anyone in the lab! The original product is no slouch either! The DM-120 is Ample Scientific’s newest centrifuge design. It has auto-balancing to prevent vibration and reduce noise. It can spin from 500 to 12,00 rpms and uses a timer that can go from 0-15 minutes in 30 second intervals. You can also run it on short rubs with just the push of a button! It holds 24 micro-centrifuge tubes and can optionally hold hemocrit tubes as well. There’s no limit to how many free TACH-S tachometers you can get! You get one free with each DM-120 Micro Centrifuge you buy! This offer expires on Sept 30th, 2011 and is limited to 110V models only. And with the landing of STS-135 the NASA Space Shuttle program comes to and end.The Space Shuttles served as the US’s space transport for over 30 years. 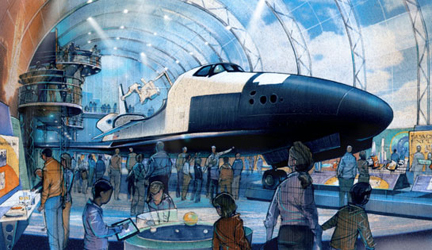 Now the shuttles will become museum pieces in the California Science Center in L.A., The Smithsonian, The Intrepid Sea, Air & Space Museum in New York City, and the Kennedy Space Center in Florida. Shuttle parts and trainers will also be sent to flight museums in Seattle, Ohio, Houston, Huntsville, and other locations. Its not so much the heat, but the…Dew Point? 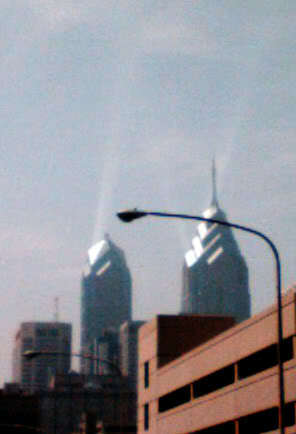 We’re in the middle of a very nasty heat wave here in Philadelphia (where Spectrum Scientifics is based). Temperatures are expected to reach 100 degrees (F) before the end of the week. One thing we have noticed in various accounts of the weather is that most forcasters and weather reports don’t really have an accurate measure of just how uncomfortable the hot weather is when you factor in all the moisture in the air. You’ve doubtless heard the phrase “its not the heat, its the humidity” but measuring humidity doesn’t always give us a sense of how it feels to us. You get a percentage figure, but that doesn’t say much. Forcasters have tried to factor in humidity by using what they call the ‘heat index’, but this is never a good index. A person standing in dry desert heat at 98 degrees is not having the same experience as a person in 90 degree weather with high humidity. “Heat index” seems to be one of those measurements so people can quote high numbers to say how bad things are. “Wind Chill” is another such figure and based on some poor information (it assumes you are not wearing clothes, for example), but more on that figure another time. So what is the best figure for determining how comfortable or uncomfortable you are going to be? The best indicator is actually a little measurement call the Dew Point. The Dew Point is the actual temperature and object has to be for moisture in the air to condense. Think of how you take a cold soda out of the fridge and moisture forms on it. That soda is chilled and well below the dew point, so the moisture in the air turns to liquid in it. Dew Points actually can be a better indicator of how comfortable a person will actually be, since it can cover lower temperatures where the humidity is high (clammy is the unofficial term). When the Dew Point is below 60, most people are quite comfortable. From 61-65 it can be a little uncomfortable to be in, and a Dew Point above 65 is just going to make people unhappy. Even Dew Point is hardly a perfect measurement. Things like clouds, wind, and other weather factors can make a somewhat higher Dew Point seem more tolerable than normal. But at least the Dew Point is not a high number set up by TV weathermen to impress people with big numbers. So remember to watch the dew point, and keep yourself hydrated! One of our more popular products is the Zero Blaster and the Mini-Zero-Blaster. These are nifty ‘guns’ that shoot rings of smoke! Both of these toys work on the same idea – a vortex generator. Such toys have actually been made for ages (usually home-made versions, although Wham-O make an air blaster for a while) to shoot ‘balls’ of air. This is invisible but some folks found that by adding some smoke to the equation they could make nifty smoke rings. The hard part was making the smoke. The usual method was to make drop a small smoke bomb into the home-made vortex generators and shoot until the smoke ran out. But the Zero Blasters fixed that by actually making their own smoke! The battery power in the Zero Blaster heats up the smoke fluid (the fluid is non-toxic being made of distilled water, glycerin, and Propylene Glycol) and fills the chamber with smoke. 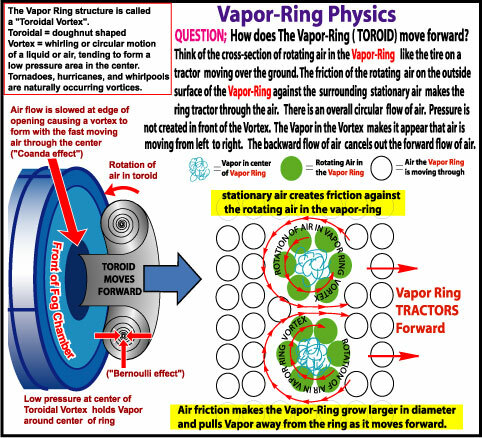 Then when you pulled on the trigger (or the knob with the Mini-Zero Blaster) it makes a vortex ring and you get a smoke ring! So let’s see this guy in action, not just still photos. Its pretty much that simple. In fact if you want to take the time you can make your own out of a plastic trash can and a shower curtain. They are a bit unwieldy but you can scale them down if you like, or just get yourself a Zero Blaster to make your life easier.